Professional removals might seem expensive on the surface, but they can ease the stress of the move and help clients save money in the long run. Professionals are less likely to cause damage during the move or become injured, which helps clients avoid additional expenses. At iMove Group, we provide a well-trained and dedicated professional removalists Freemans Reach for every removal job, no matter how big or small. What Kind of Services Can You Expect From Our Removalists Freemans Reach? Residential – Our team has handled several Freemans Reach residential removal projects in the past and can help clients pack up their apartment, townhouse, or large home and transport all possessions to the destination. Commercial – Commercial removals in Freemans Reach require careful planning and quick execution because business owners need to get their establishment up and running quickly. We have the equipment and manpower to carry all kinds of commercial removals. Warehouse – Our team can also handle large-scale warehouse removals and will make sure none of the cargo is damaged during the move. What Does Our Removalist Do During the Moving Process? Plan – Careful planning and logistics are included in every removalist Freemans Reach package to ensure all items reach the destination on time and without any damage. Our interstate removalists consider factors like distance, road conditions, traffic, client requirements, etc. Proper planning prepares them for obstacles and ensures the removal process progresses smoothly. Pack – The quality of packing materials and techniques determine how secure and undamaged the cargo is when it reaches the destination. The removalists pack everything carefully, double checks the seals, label boxes, and create lists to keep track of all items. Load and transport – Loading and transporting are one of the most difficult aspects of the removal process because it requires physical ability and skill. Our well-trained removalists know the right techniques to carry and transport the items through narrow doorways and passageways. They use moving tools like ramps and trolleys to ensure the removal process quicker and easier. A professional furniture removalist knows how to carry and transport furniture securely and will make sure the objects are unharmed. Furniture removals require different packing materials, techniques, and careful loading because these objects are usually large and oddly shaped. Our experienced furniture removalist will carefully wrap small pieces of stools, chairs, bedside tables, and other items to protect them from scratches during the move. The furniture removalist will also disassemble large pieces like shelves, entertainment units, and beds so they’re easier to transport. These items are reassembled at the destination location according to manufacturer’s instructions, so clients don’t need to worry about damage. It’s not easy to find good quality interstate removal service providers that carry out small removals. These tasks have a smaller profit margin, which deters many removalists and makes small moves expensive for the customer. We offer small removal and backloading services, so clients don’t need to reserve a large moving truck needlessly. They can reserve a smaller one or book a small portion of the truck to split the cost with other clients on the same route. Backloading is a great option for clients who want to transport very few items. We’re familiar with these locations and will ensure all cargo reaches the destination on time. Our furniture removalist will pack all items securely to ensure they can bear the stress of long-distance transport well. Many clients look for low-cost removalists in Freemans Reach when they search for professionals online, so we understand that the price of removals Freemans Reach is the primary concern. Our company aims to keep the costs low and provide customisable services to ensure clients find something that fits into their budget. Clients can request quotes for removals Freemans Reach online or through a phone call to get an idea of how much the service can cost. We offer cost-effective local removals and a wide range of flexible services. 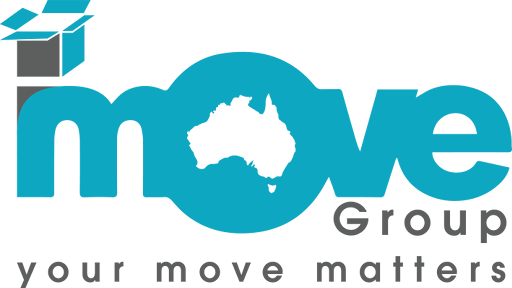 If you want to know more our hire our professional removalists Freemans Reach, don’t hesitate to give us a call at iMove Group today. Call 1300 046 683 or get an instant quote in seconds. Our services are available all across Australia to make your move easy and stress-free. It means you don’t have to worry about the small matters and can concentrate your time and energy on more important things. Simply click here to book with us today!